So you know when you go on a trip and all you hear is the same song over.and.over.and.over again? Over the weekend, there was a total of 17 girls with us celebrating my girlfriend Jen's bachelorette party, but only some of us could/decided to go down a day early to spend more time in the city. What you see today is this group of gals! I'm so happy I decided to do this because it ended up being one of my favorite days of our trip. We headed down around 6am and since it's only a little over a 5 hour drive from us, we were in the city by noon (and we gained an hour!) ready to explore. Or party. Whichever. 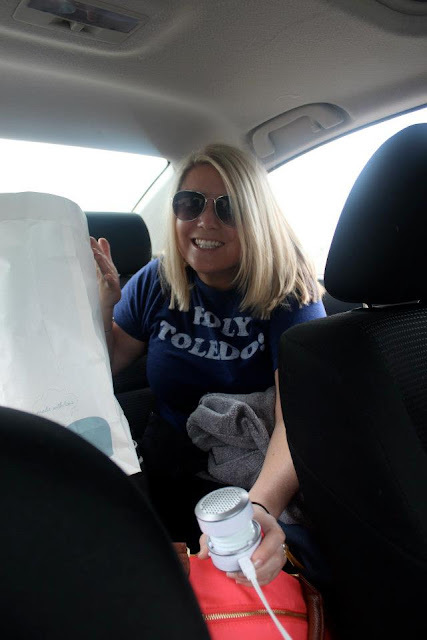 my g/f Kelly showing you how much stuff we managed to pack-there was literally a wall of stuff in between the two girls in the backseat, haha. Oh, and that's our little speaker friend. This day was the only day it rained while we were there, and let me tell you it was pouring! 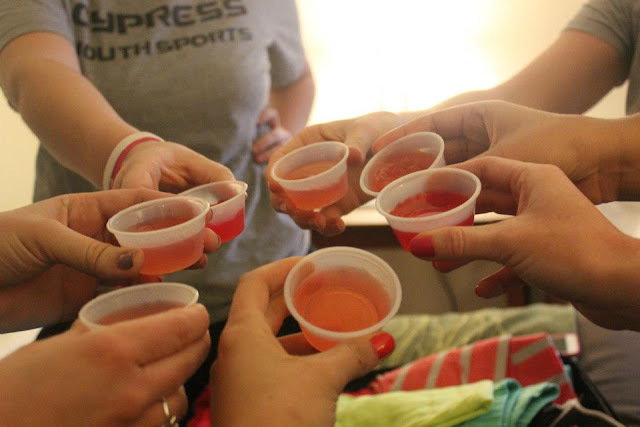 Once we checked in our hotel, we did some celebratory/highly necessary jello shots and decided to do more inside activities this day, which was the perfect choice. 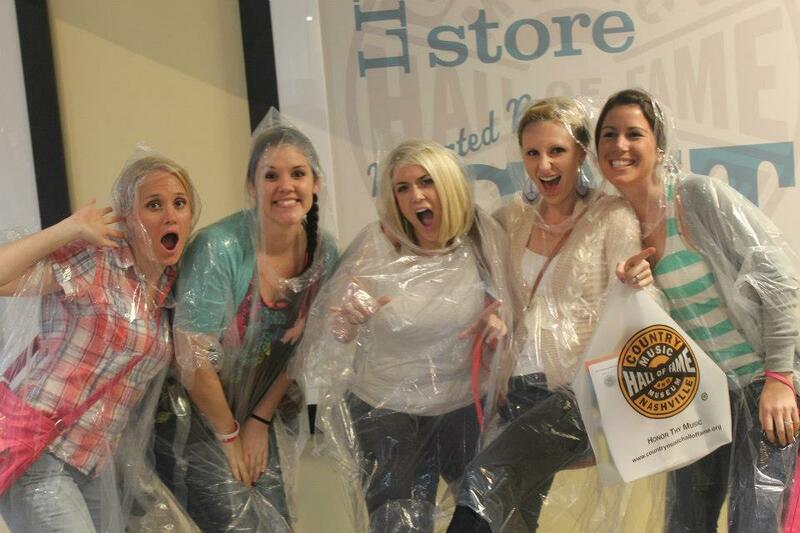 emergency poncho's to the rescue! cowboy boots were a must. 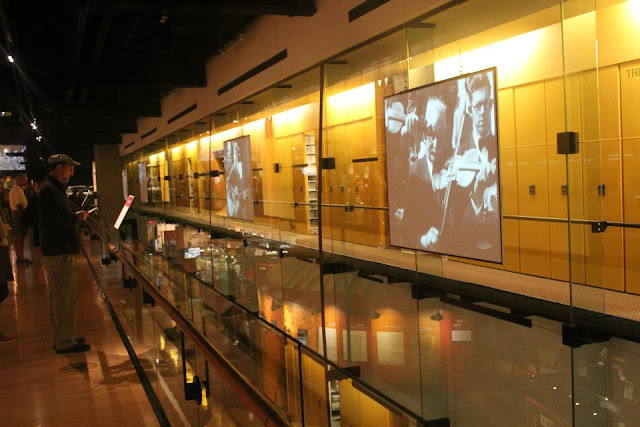 I highly recommend doing this $22.00 tour if you like the history of country music and enjoy museum's. I'm really glad we did it! It was about 2 hours (or less) and it's something I wanted to do to cross of my "must see" list! 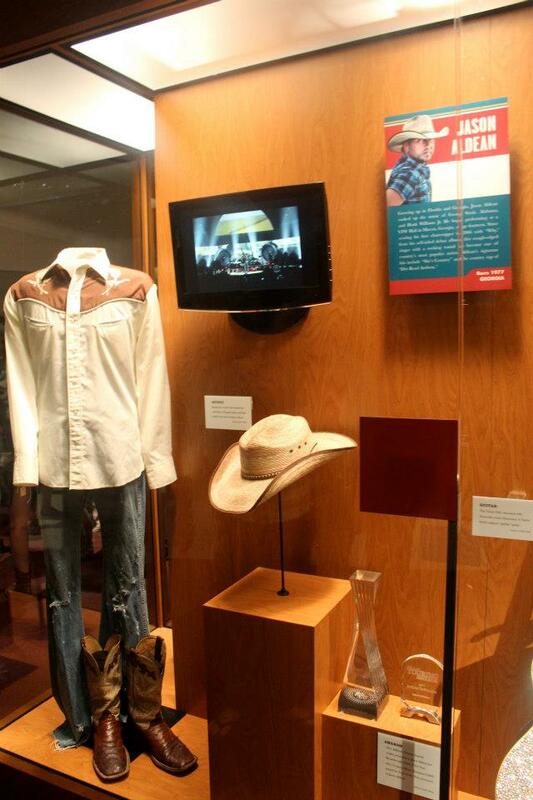 Jason Aldean, anyone? Love love love. 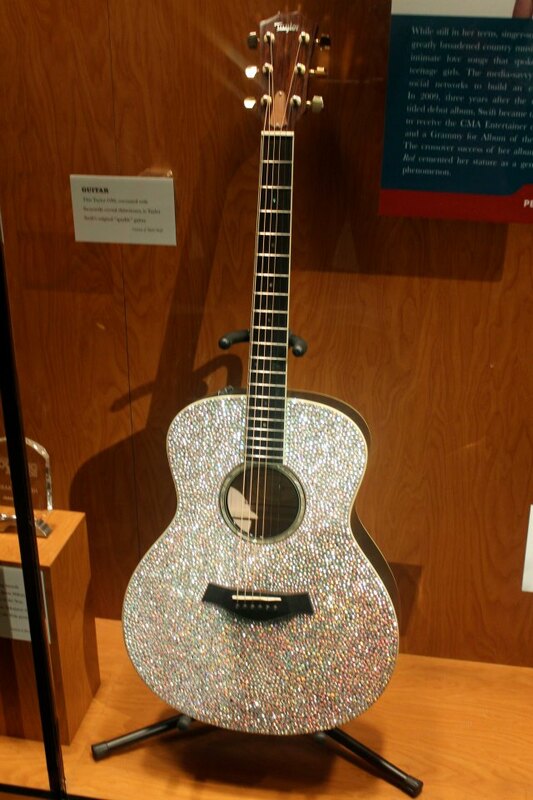 My favorite guitar there had to be Taylor Swift's. I'm not the biggest fans of hers (is she not driving most of us crazy lately? 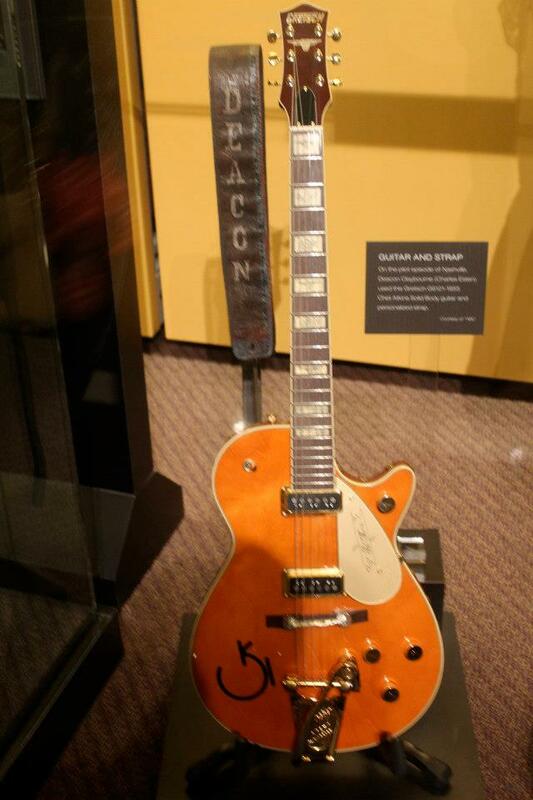 ), but you have to admit her guitar is pretty badass. A great local pub and restaurant. We did the tour and hopped on over here for drinks/to eat and had a blast here! It seemed like a local favorite. The food was really good, too! 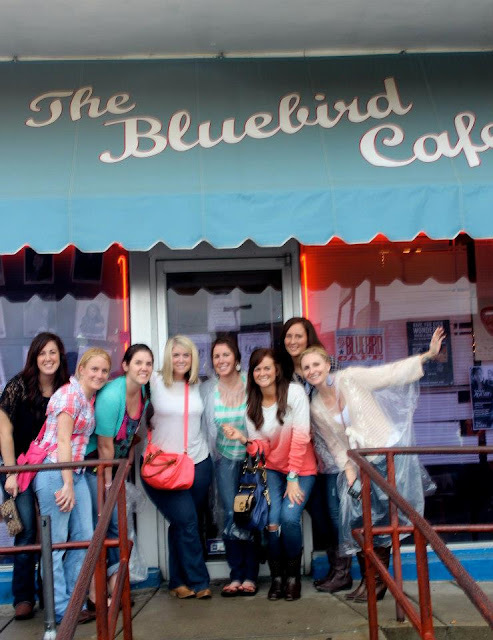 One of the main reasons why we picked the Corner Pub was because it's almost directly across the street from the famous Bluebird Cafe! We were SO excited to see this place. If you go here: make reservations and get their early! We did learn that only the pilot from the show Nashville was filmed here and that they actually have a set somewhere else that they film from. Not to break all of your hearts or anything! It was still so amazing to see because of how many famous musicians have performed here. Plus, they have shows every night so you never know if you are seeing the next big star! Here's a view of the inside... there is a bar area, not pictured, to the left but as you can see it's a small little place! The bars in Midtown were on our list next. This area is awesome. If you don't want to be "touristy" downtown, this is the place to go! Many locals hang out in this area including the big stars. We actually met two singers/songwriters at the bar Losers (another bar called Winners is right next door!) and talked to them for quite a bit. It was interesting to hear their stories! Cora Keller was one of them if you want to look her up..she was on the x-factor this past year, too. She's also from OHIO! Woo. We ended up having a blast with them....innocent fun. They were really nice (NOT creepy-so that's a plus) and we literally danced for over three hours with barely any sitting down. The next morning, and the rest of the trip, my feet/heels/legs were feeling extremely numb. Two words: WORTH IT. PS: Any of you southern gals or ladies in this area want to recommend good country songwriters to me?! I just LOVED the music we heard all weekend and want to find some favorites! I love the Country Music hall of fame!!! definitely one of my favorites to go to every time I go visit. I;m going to Nashville next weekend and am currently OBSESSED with Darius Rucker's version of Wagon Wheel so I cant wait!!! I hope every bar plays it! So fun! I need to go here and listen to Wagon Wheel seventeen million times in a row. Oh wait, I already do that. 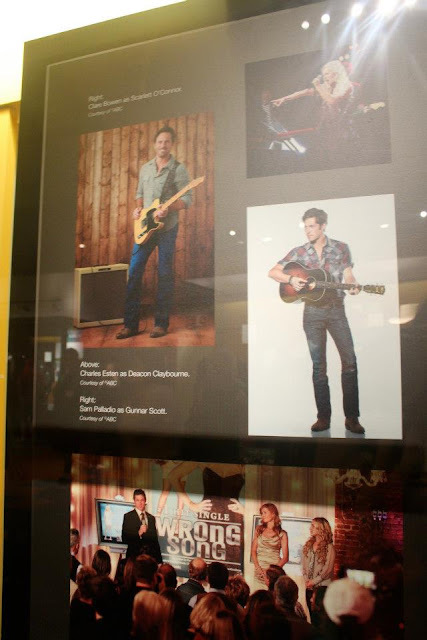 I love all of the Nashville (the show) stuff. If there's a song you have to hear over and over again, it might as well be Wagon Wheel while you're in Nashville! So glad you had fun, Katie! 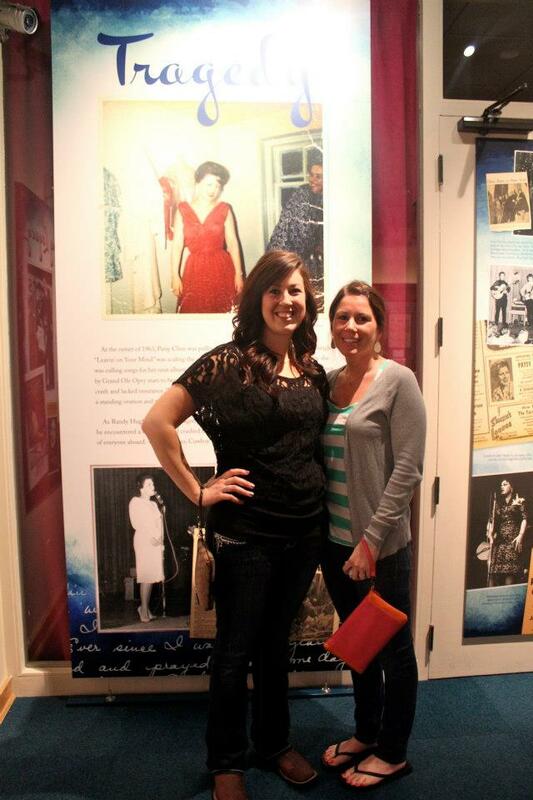 I adored the Country Music Hall of Fame and was so glad we got to cross it off the list too. And super jealous you got to see Bluebird! Ahh, I WANT TO GO! Love your sweater!! This is awesome! Glad y'all had fun! 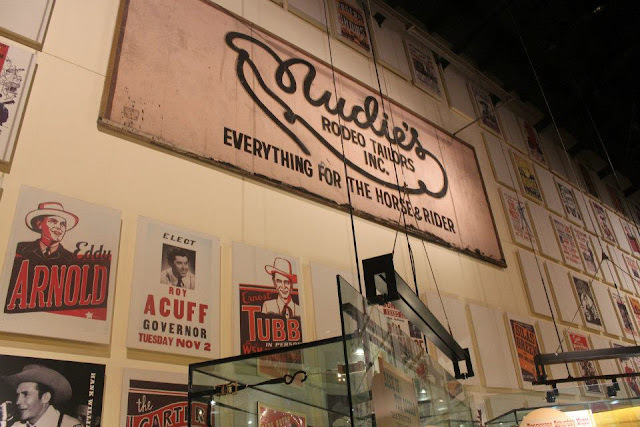 Nashville is SO on my list of places to visit. You've made it look even more fabulous. Man oh Man, can't wait! Sounds like SO MUCH FUN! 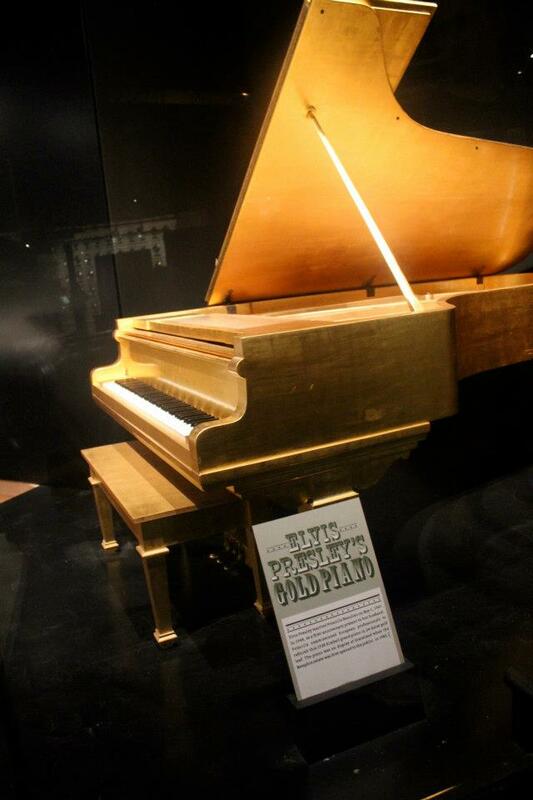 Nashville is definitely on my list of places to go! It's such a small world!! I went to grade school & high school with Lisa! Nashville is the BEST! so glad you had fun in my home state! Oh and you went to the REAL Corner Pub!! I'm impressed! 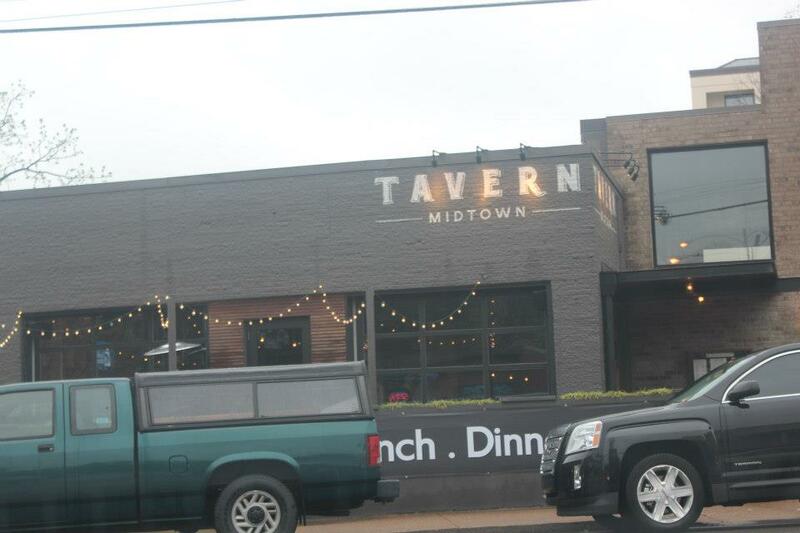 :) There is another one in midtown, just down from Tavern. The one Green Hills (where you went), is like all locals and not too far from my house!! :) Looks like you had a blast, can't wait to see the rest! So cool, looks like you had a great day and got to see lots of stuff! And that's awesome you got to go to the Bluebird Cafe, I love the show Nashville! So excited for my road trip next weekend!! Mannn, I have always wanted to go to Nashville! It looks like so much fun! And I LOVE the Wagon Wheel song! Especially when we are in Raleigh and it comes on at games or while we are out somewhere ... but they usually play the original version, my personal fave. Glad y'all had a good time!! Umm I am totally going there for my Bachelorette Party!! I am beyond excited.. It won't be until next March.. But that's okay. 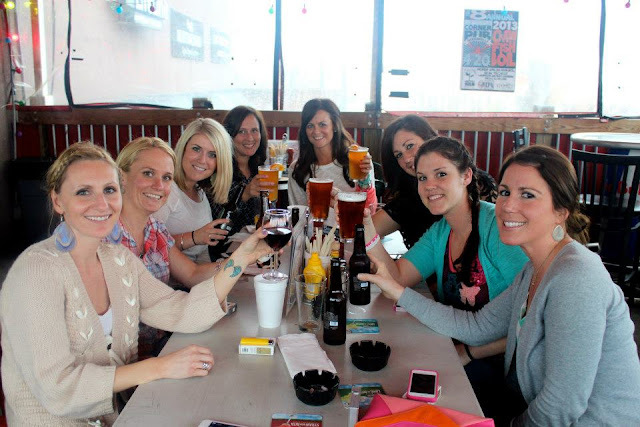 I think I will plan a trip before my Bachlorette Party!! 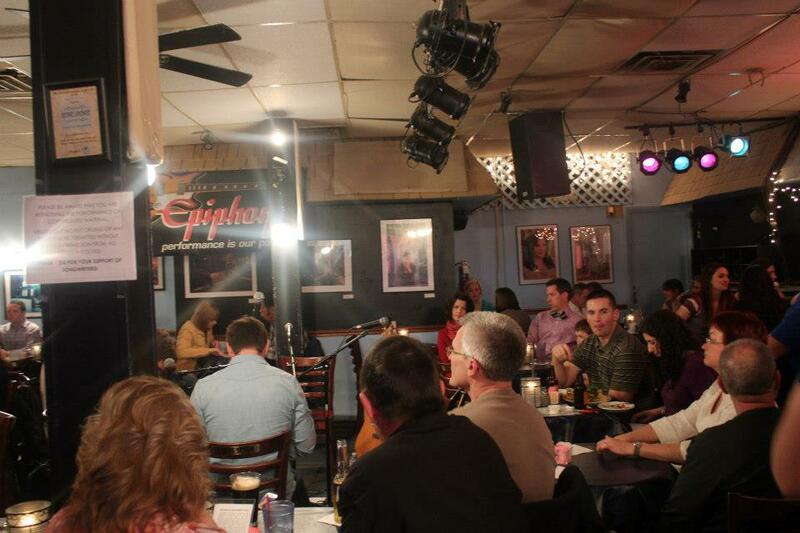 I'm kind of angry that they really don't film at the Bluebird!!! :( But still a devoted fan of the show haha. Great pics, looks like it was a blast! I've wanted to go to Nashville for awhile. Oh my isn't everybody seriously the best signers there?! 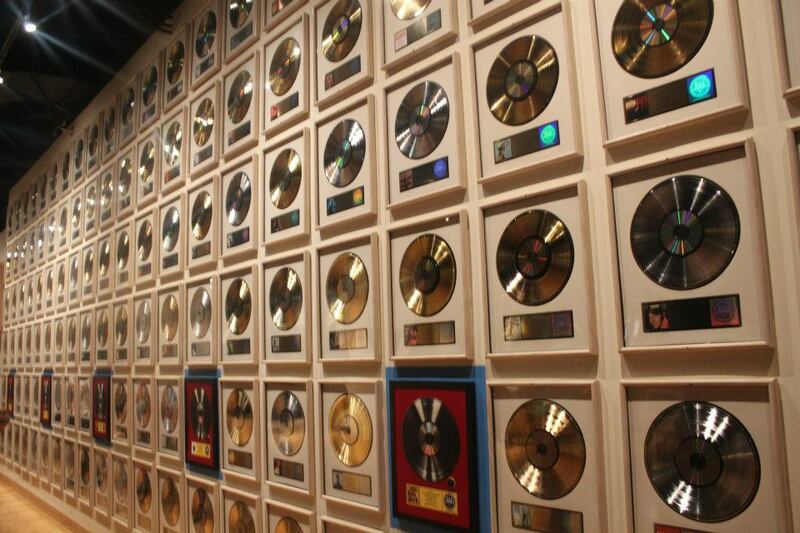 I want to be able to give everybody a record deal bc they are all so good!! Ahhhh i am able to post ! Lol so i was obviously just adorably oblivious . lol thanks so much for your help! The trip looked awesome !! 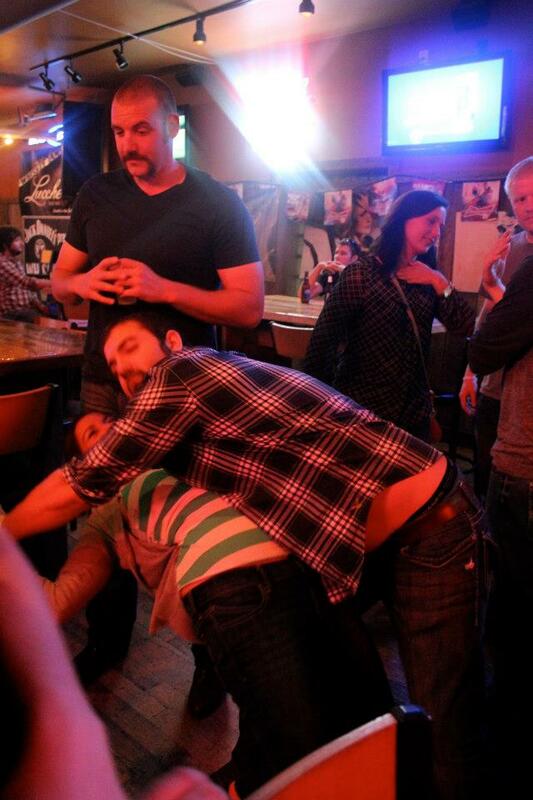 looks like such a good time! Finding a bachelor party while on a bachelorette party is always fun, I feel like I have found one every time I've attended a bachelorette bash! This post gets me all nostalgic! I LOVE Nashville. 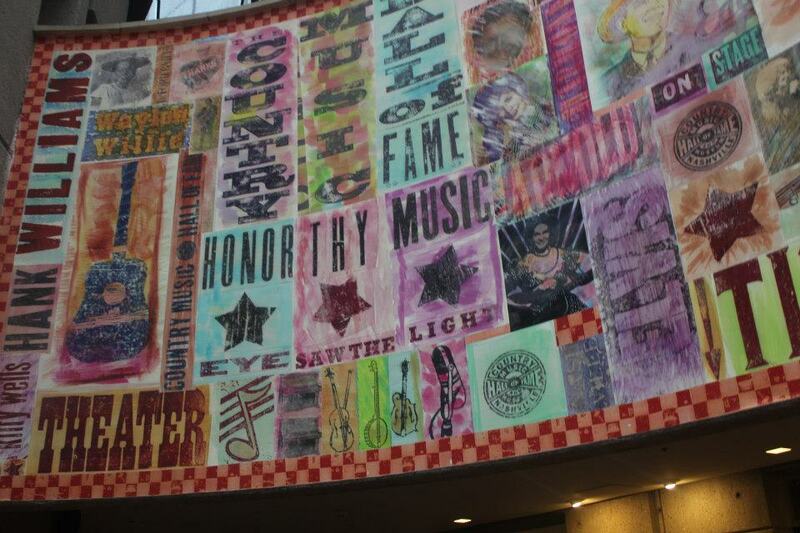 I visited my sister there a few times and went there for a song writing convention one year. I just LOVE it. LOVED all your pics and you looked gorgeous as always. So much fun! 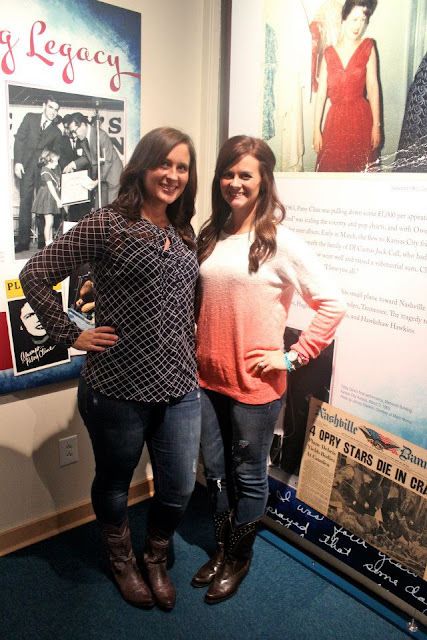 Nashville is definitely on my list of places to see! Love, love, love Nashville. Did I mention love? ;) So glad to hear you loved it just as much. In all the times I've been there, I've never made it to the Bluebird. I've got to add it to the list! As far as songwriters go, I'll throw you a few. ;) Charlie Worsham is a personal fave of mine. He's a singer-songwriter orignally from MS and is crazy talented. I've known him for yrs. Check out his Cover Challenges on Youtube. He remixes, records and plays all the instruments on one song in one day. Cole Swindell used to sell merch for Luke Bryan and now has his own publishing deal w/ Sony. He's written several songs for LB (most are on the Spring Break EP) and I think he's got some originals posted on Reverb Nation. Brett Eldredge has a new single out called Don't Ya and he's written a lot for other artists. He's also super easy on the eyes. ;) So just a few suggestions as far as newer artists you might wanna look into. Can't wait for Part 2! Ahh! thank you SO much! this is amazing. :) can't wait to check them all out! I agree with Chelsie, you just can't beat Old Crow Medicine Show-we got to hear them sing it live at the Opry when we were in Nashville a few weeks ago and I was so excited. The Bluebird is awesome too-so much smaller than it appears in the show. Apparently they recreate things in bigger versions a lot for the show-they told us at Ryman they did the same when Juliette supposedly was shown in one of the dressing rooms there. Our favorite songwriters we heard at Bluebird were Joe Doyle (who has written for Tim McGraw, Luke Bryan, Alabama and so on) and Josh Pruno, who was adorable. Can't wait to hear about the rest of your trip-it looks like you had so much fun! So flippin' jealous! Looks like you ladies started your trip off with a BANG! Hey Katie! It's been a while since I have commented but I wanted to recommend Phillip Fox Band. He plays in Columbus a lot. I just saw him last weekend at Brothers Drake - he covers country and rock songs but also has original music. I love live music and I definitely felt that Nashville atmosphere with him!! In fact we are going to see him Friday at Local Roots in Powell! Hey girl! I'm so excited to tell my gfs about them. Thank you so much!! They sound awesome. Might have to check them out SOON! Ah. I loooooooved my trip to Nashville. I would love to go back with some friends! These pictures make me nostalgic for Nashville! I went on a road trip there with some of my college roomies two years ago & had the best time. Definitely a fun city. And country music is my all-time fave! You should check out Nicolle Galyon. 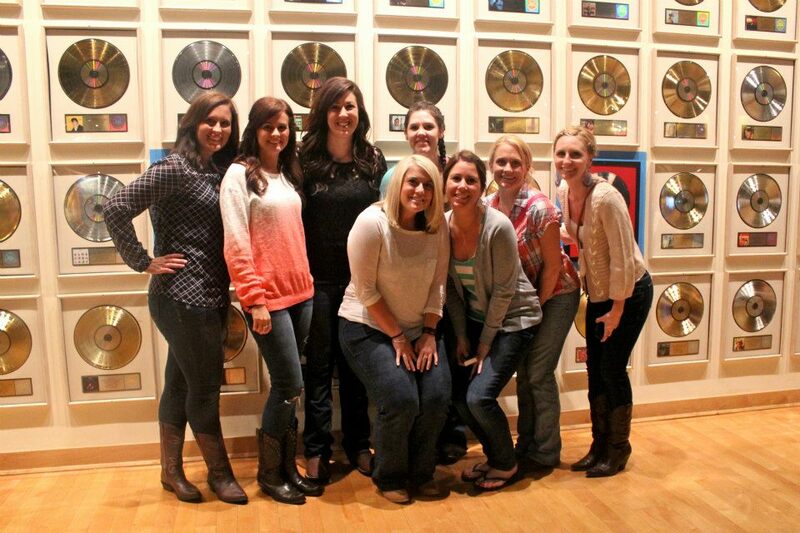 She was on The Voice two years ago for a few weeks & has written songs for Lady Antebellum & Lauren Alaina. She's amazing! Her husband, Rodney Clawson, has written all the big hits for Luke Bryan, Jason Aldean, Blake Shelton, etc. I love your pink sweater! Can I ask where you got it? Thanks! i'm with you about taylor swift, but you're right- her guitar is awesome!